Jack Harkness looked around the flattened area due to become a building site any day now. He gave a nostalgic sigh. “I’ve seen pictures,” Martha Jones said. Despite her surname she didn’t have any Welsh in her bones. She had never seen the Cardiff Jack was describing, only the modern, glossy version. She had never even seen this undeveloped section before. “The Napoleonic War?” Martha asked with a sly grin. Martha glanced around at the empty space. The warehouses Jack spoke of were each the size of a football pitch. She couldn’t quite get her head around the idea of the same space packed with coffins. “They sent them home to their families?” she asked. Ianto and Alun signed the visitors book at Swansea University and were shown the way to the forensic reconstruction department. They were met there by a Doctor Anthony Davies who was handsome enough to make them both grin knowingly. ‘This way’ led them into a macabre place that even the archives of the Torchwood Hub would find hard to beat for the creeping horrors. The first thing they saw was a bleached white skull sitting next to a head with unseeing eyes looking out from beneath hooded brows. “So… that’s a Tudor sailor’s face?” Alun asked. “Creepy, but… I suppose it could be used to identify murder victims, that sort of thing, too?” Ianto suggested. He keyed a six digit code into an electronic lock and opened a cupboard. 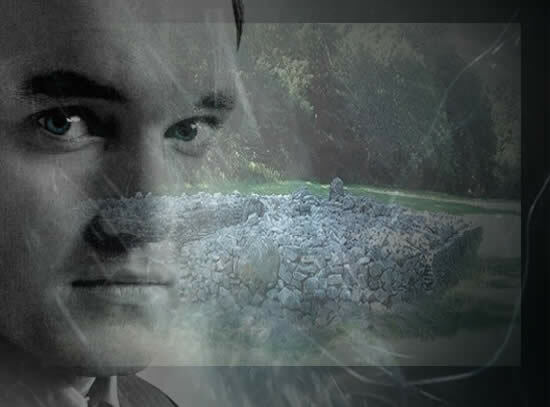 Alun and Ianto stared at what was kept within. They had walked the whole perimeter of the area being prepared for development. Satisfied, Jack closed the leather cover over the complicated device that Martha, alone among his colleagues, knew properly as a Vortex Manipulator. Everyone else called it his ‘wrist gismo’. Martha had travelled by Vortex Manipulator and didn’t recommend it on any level, but its other functions were more useful. “That happened here?” Martha queried. Martha recalled what he had said about the warehouses being used for storing bodies of servicemen in the war and horrible visions filled her mind. She could easily imagine dead men, bloated from being left in the sea for a long time, or with limbs blown off in battle, wandering blindly around this bleak landscape. “Where were these found?” Alun asked as he stared at what had to be either alien skulls or the results of the most ghastly birth deformities known to Human reproduction. Ianto looked closely at the four skulls. They were all different, but distinctly non-Human. One had a skull so elongated it could only have been hidden under the sort of tall hat favoured by medieval ladies. Two others had foreheads that protruded forward over three eye sockets – the third one sitting above the nasal cavity. The fourth was almost a normal Human shape, but three times bigger than it ought to be. If they weren’t alien, and not natural deformities, they had to be some very cruel genetic experiments. Torchwood territory no matter which way they looked. Gwen was on her own in the Hub when she took a call from her old colleague, Andy Davidson. “Gwen, there are monsters in Leckwith Woods,” he said. “What sort of monsters? Three headed ones with tentacles or the sort that show their wedding tackle to small children?” she responded. “Will do,” Andy promised. He sounded far too pleased about the idea. Gwen put the phone down and let Una know that she was babysitting Sam for an hour or two and could help herself to what she liked for lunch. She made sure their other resident, Gilly, was still in the visible spectrum and making herself useful tidying up the medical room. Everyone was happy for now. She could leave them to it. She went to the code-key-operated door to the armoury where she selected a collection of weapons, none of which were known to the police or military of the realm. From there she headed for the garage. Jack and Martha had walked around the Bay to Roath Dock, and the boys had taken their Audi to Swansea. She had the SUV all to herself. It took a minute to adjust the seat to her height, but then she was off on her own field mission. Jack chose outside seats at Coffee Mania near the Plas under which both of them worked and waited until they were served the coffees of their choice – for himself a large straight coffee with a dash of milk, for Martha a long, tall latte. While he was waiting for their orders, he fiddled with his Vortex Manipulator again. Martha wondered what he was doing. The coffees arrived in the midst of what would have been a pretty incomprehensible conversation to anyone who had never been involved with U.N.I.T. Jack looked around again at the modern Cardiff Bay and remembered how it used to look. Martha smiled and let him reminisce for a while before reminding him of the story he was going to tell about the war. “That’s not the whole of it,” Doctor Davies told the Torchwood pair. “This is STRICTLY off limits to all but a few key personnel here.” He opened a second key-coded cupboard and Ianto and Alun both stepped back in shock at what they saw in there. “You found whole heads, not just skulls?” Alun asked. The scientists had assumed that these were Celtic aliens and given them light complexions, but the one with the elongated skull had a stretched look to its face as if the skin was a bit too small for the flesh and sinew beneath. The three-eyed ones had thicker skin around the forehead with deep folds that made the hood even more pronounced over the eye sockets. The huge head had skin more like hide and a very wide mouth. They had given it a smile that made it look like a hungry Man in the Moon. If the body was not in proportion to it, then it must have looked something like Frank Sidebottom walking around the pre-Christian Gower Peninsula. “You’re assuming we have an answer to that?” Ianto replied. “Nobody,” Doctor Davies assured him. Davies looked disappointed. It was like discovering a Viking hoard only to have it claimed as Crown Property and acquired by the National Museum. Torchwood was going to make the most exciting find of a life’s work in forensic reconstruction disappear. But he knew there was little point in arguing about it. He painted the image with his words. Martha could picture it easily enough. “No.” He paused and took a long drink of his coffee. It seemed as if the memory was an upsetting one for him. Gwen parked the car in a lay-by on the Leckwith bypass beside Andy’s police Peugot. He was waiting in the car and got out to meet her. On cue, something huge and angry roared. Gwen turned and thought she saw the tops of the trees move as if something large had brushed through them. “DI Temple can get down here and see for himself,” Gwen responded. She got the weapons from the boot of the SUV. They were short-barrelled laser sighted rifles that fired phasic rounds. That was a space age term for a space age kind of ammunition – basically a bullet made of pure energy. They had, like on Star Trek, different settings - stun, wound, and kill. She explained that much to Andy as she handed one to him and told him it was on stun. Andy examined the weapon. He had done some very basic weapons training not long after he passed his sergeant’s exam, but he wouldn’t claim to be an expert. Far from it. That was why he hadn’t gone on to the armed response section. “Oh my God,” Martha commented as the implications for those men sank in. They were dead. Their lives were over. But they were self-aware. “But not so simple,” Martha surmised. Gwen and Andy moved quietly through Leckwith Woods, following paths worn by local people taking short cuts. It wasn’t exactly a nature reserve, skirting the edge of a bypass on one side and an industrial estate on the other, but amidst the familiar urban debris of beer cans and take out cartons there was a carpet of woodland flowers beneath the trees. Neither of them were well-enough versed in botany to identify either the flowers or the trees, but it was nice to find a bit of real nature in the middle of their city. When the T-Rex roared close by, Andy jumped visibly and failed to mask the whimper that escaped from his lips. Gwen retained her composure a little better. She had heard stranger things within the confines of her own workplace. She got her stun gun ready. Andy did the same a moment later and they came off the path and pushed between the trees. They emerged presently into a clearing that had obviously been newly created by something large that broke off branches from mature trees and flattened bushes and smaller saplings. The ‘something’ reared its head in the middle of the clearing. It looked, for all the world, like a Tyrannosaurus Rex, except that it was only about the height of the tallest trees. Everything both Andy and Gwen had heard about these creatures put them something like the height of one of the cranes working on the next phase of the docklands redevelopment. It turned its head and roared directly at them. Andy raised his weapon and fired. It had absolutely no effect on the animal. He fired twice more, then asked Gwen how to change up to ‘wound’. She stepped forward, putting two fingers in her mouth and whistling shrilly. The T-Rex’s long neck craned down until the nose touched the top of her head. Gwen stood her ground, testing her theory. “Bet you it can’t,” Gwen answered, even though the T-Rex opened its mouth and roared loudly. She cringed at the noise so close to her ears, but that was all. She raised her gun and fired into the T-Rex’s chest. The energy bullet went straight through, not like a through and through bullet causing a small entry and exit wound, but like there was nothing there to impact upon at all. “Ever heard of a hard light hologram?” she asked Andy. “The smarmy bloke from Red Dwarf,” Andy replied. She fired again, between the dinosaur’s legs. There was a small fizzing noise and then a bang like a boiled egg exploding in a dry pan, and the T-Rex winked out of existence. What remained was unusual for Leckwith Woods, but far less threatening. Martha leaned forward in anticipation of the revelation. “And….” Martha was positively agog now. He sighed as he remembered. It wasn’t a pleasant memory for many reasons. “You… didn’t, did you?” Martha guessed. “Jack Harkness, you have a soft centre under your rock hard skin, don’t you?” Martha said. She reached out her hand to his and he let her take it. He finished his coffee and pushed back his chair. The Parc le Breos burial chamber, set in the medieval deer park, now public recreation facility, of the same name, had been known to archaeology since 1869 and its secrets had been largely uncovered, but there was absolutely no doubt that pre-Christian people lived, worked, died and were buried in the area. There was bound to be more to find. Swansea University’s team were the best placed to find it, having their headquarters only thirteen kilometres away. The exploratory trenches they had dug between the long cairn popularly known as the Giant’s Cairn and the Cathole Cave which had been used as a Neolithic ossary, was a hive of activity when Ianto and Alun were brought to see it by Doctor Davies’ colleague. Professor Rhiannon Lloyd, working in the forensic reconstruction department, but with her specialist field in anthropology, was the link between the dig and the work back at the university. Indeed, as she explained to them, she had brought the four skulls back for reconstruction after realising they were not what they had expected to find in a pre-Christian archaeological site. “We might well find the bodies buried separately,” she told Ianto and Alun as they walked along the planks at the top of the trench and looked down at the four post-graduates working for their credits by sifting through every inch of slightly sandy mud that they dug out for the tiniest trace of something of interest. It could be a piece of ancient pottery or a Human tooth, or something as huge as the skulls unearthed a few weeks ago. Ianto asked her why she thought that. “AFTER we’ve finished working, do we get our memories wiped?” Professor Lloyd asked. “Then I think we all understand each other,” Ianto said. He hated doing the Retcon routine, anyway. He was far too honest for it. Besides, this way, they gained some useful allies. He only hoped he could persuade Jack to agree to that plan. Gwen and Andy came into the Hub through the garage entrance with their prisoner. He was two feet tall and looked like a perfectly proportioned Human except for a long, hairless tail and ears like a traditional pixie. He was restrained hand and foot with plasicuffs and Andy was carrying him under his arm. The prisoner wasn’t struggling even though he was coming around from being stunned by Gwen. He was obviously resigned to his fate. Martha and Jack, coming in by the lift from the Plas watched in amusement as they set the little man down on a table top. “You didn’t need any help restraining that huge brute?” Jack asked. “I’m going to report that somebody was playing silly buggers with a large inflatable dinosaur that accidentally blew away when it was released from its mooring ropes,” Andy added. The take-out cartons were being opened and the prawn crackers emptied into a bowl when Ianto and Alun returned with the skulls and the reconstructed heads in boxes. They set them up on the conference table as a bizarre centrepiece that surprisingly didn’t put anyone off their food. 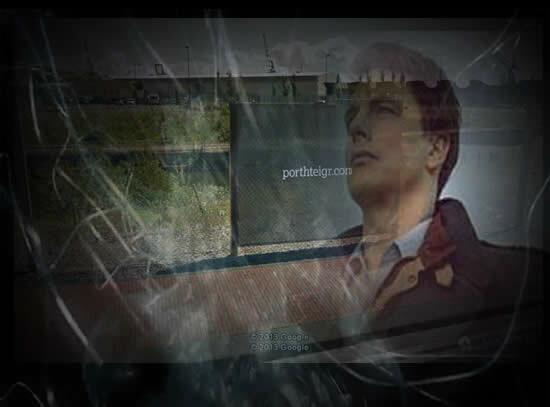 Even Andy had seen everything with Torchwood these days. Everyone turned to look at Jack with one question on their lips. Ianto and Alun exchanged glances. The puzzle of how and why the four aliens were on Earth was solved as easily as that. “Will do, boss,” Ianto said and reached for the carton of fried rice.